Kristen and David are one of those couples who you just know work great together. Not only are they constantly laughing and smiling, but being around them feels completely comfortable. We had never met before their engagement session, but it only took a minute before I felt like I’d known them for much longer. 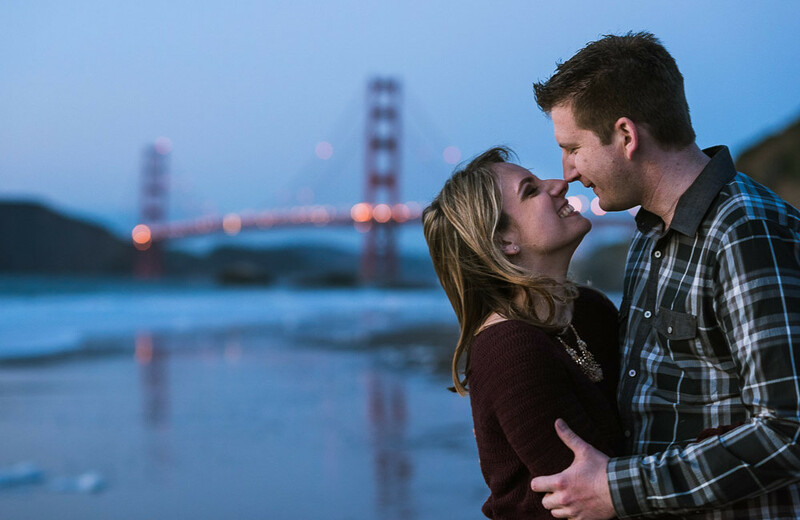 For their engagement photos we started at the Palace of Fine Arts, which is a beautiful San Francisco landmark. After spending a bit of time there we headed over to Baker Beach, which has a great view of another San Francisco landmark… the Golden Gate Bridge! We dodged waves and enjoyed a little beach time until the sun set and it was time to call it an evening.